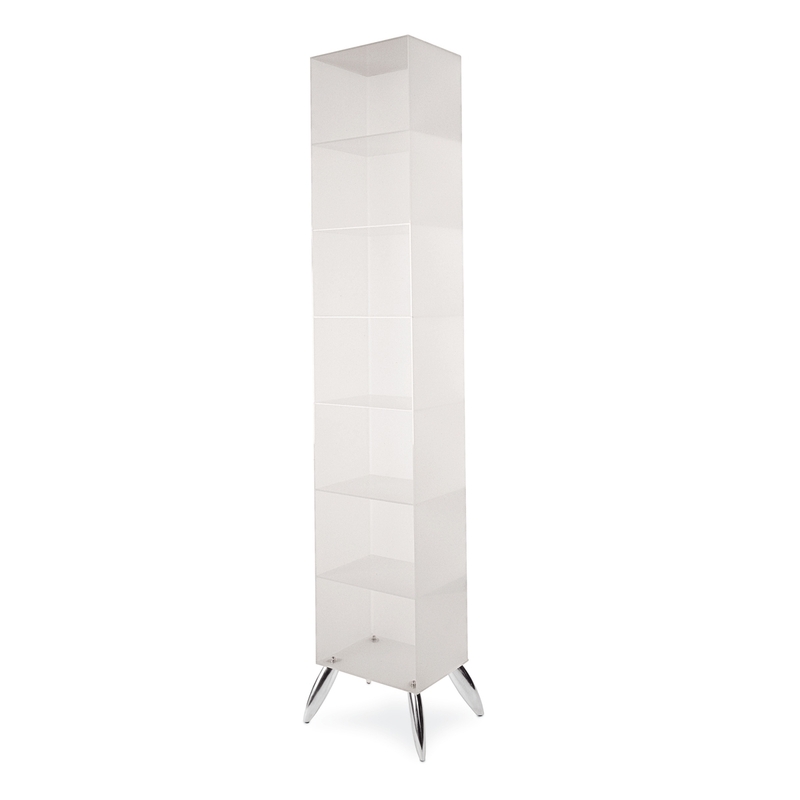 Display cabinet with structure and shelves in white translucent methacrylate material. Feet in polished aluminum. Made in Italy.